One of the very first Exotics born in Australia (1993) She still holds the record for highest scoring Allbreeds Exhibit of the Year 20 years on. We are Proud of our Past and what our Cats have managed to achieve on the Show Bench. We have bred some amazing Cats and only show some here but we dedicate this Page to all of them. A Big Thank You to all the Judges who appreciated our cats and placed them so highly. Deli was such a special cat. Her record Cat of the Year points total is still not surpassed after 20 years! Deli was one of the first Exotics shown in Australia. She began her show career in 1993 as a kitten and her career spanned over ten years. She was still winning Best in Show at this age. 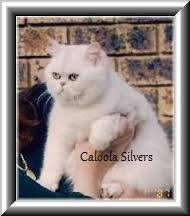 To achieve the Title Caloola Adelweis did means she was awarded at least 110 CCCA (Best Champion Cat in Show) awards. Many other Best in Shows were also awarded along the way to earning other titles. This is quite an achievement. 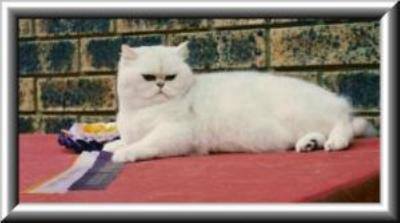 Deli was the first cat in Australia to achieve this prestigious CCCA award. We are so very proud of ​Deli​. She was the most wonderful little cat ever!